Michigan is the latest state asking the CMS to allow it to impose a work requirement on its Medicaid population. If the agency denies the request, the state said it would end its Medicaid expansion program. The state wants to begin work requirements starting Jan. 1, 2020. Beneficiaries 19 to 62 years of age would have to work or engage in specified educational, job training or community service activities for at least 80 hours per month to remain covered unless they qualify for an exemption, according to a waiver request submitted Monday. Michigan's Medicaid expansion program covers 655,000 individuals. 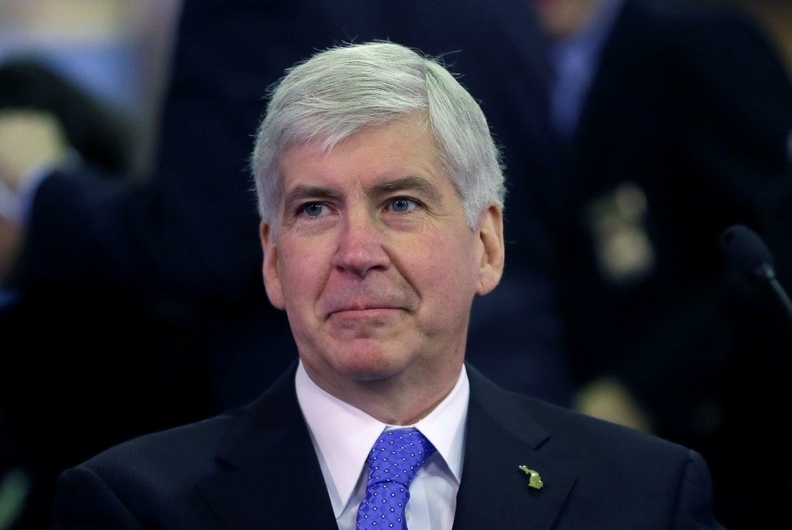 "Having health insurance allows Michiganders the ability to live independent and healthy lives, and in many cases tears down a barrier to employment," Gov. Rick Snyder said in a statement. Exempted individuals would include caretakers of young children in their family, disabled individuals and those incarcerated within the last six months. Medicaid enrollees will have to self-attest they are following the work requirements monthly via a web portal or phone. The state will conduct compliance reviews. Individuals who fail the review will be banned from Healthy Michigan, the state's expanded Medicaid program, for a year. Alabama also submitted an application to impose a work requirement on its Medicaid population on Monday. It will mirror the state's temporary assistance for needy families (TANF) work requirements. That program requires that individuals participate in 35 hours a week of employment-related activities, except for parents and caretaker relatives with a child under the age six years, who must participate in 20 hours of employment-related activities. Unlike Michigan, Alabama my face a tougher time getting its waiver approved. CMS Administrator Seema Verma said her agency is concerned about allowing work requirements in non-expansion states. The CMS has approved work requirement waivers for Arkansas, Indiana, Kentucky and New Hampshire, which are all Medicaid expansion states. In non-expansion states,there is concern that work requirements could trigger a so-called subsidy cliff, where a person earns enough to be ineligible for Medicaid but not enough to qualify for financial assistance on the individual insurance exchanges, leaving them without coverage.